This past month, we did something we’ve never done before! We went blueberry picking. 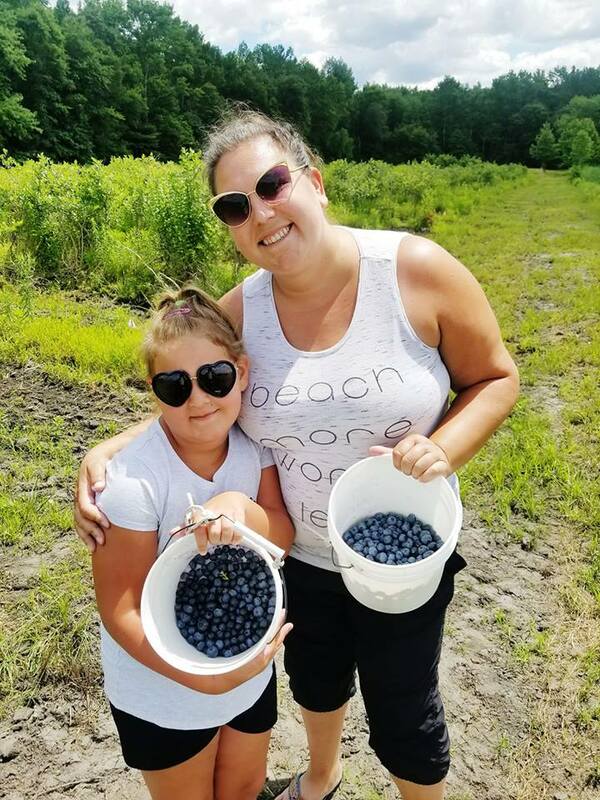 I recently heard on the radio that blueberries were New Jersey’s number one crop last year! 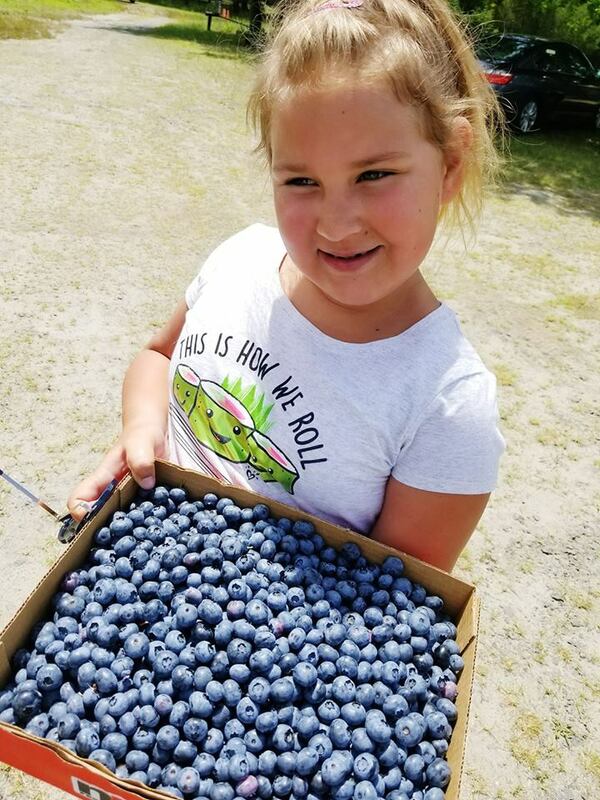 We never had a fresh blueberry and boy were they amazing! 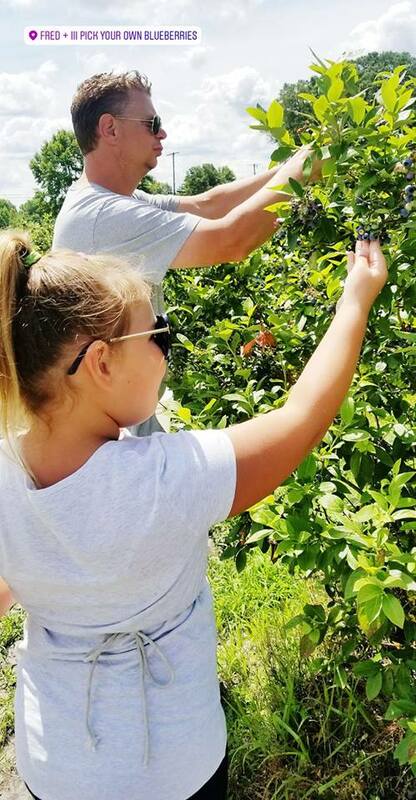 We picked 6 pounds of blueberries! Doesn’t look like it, right? 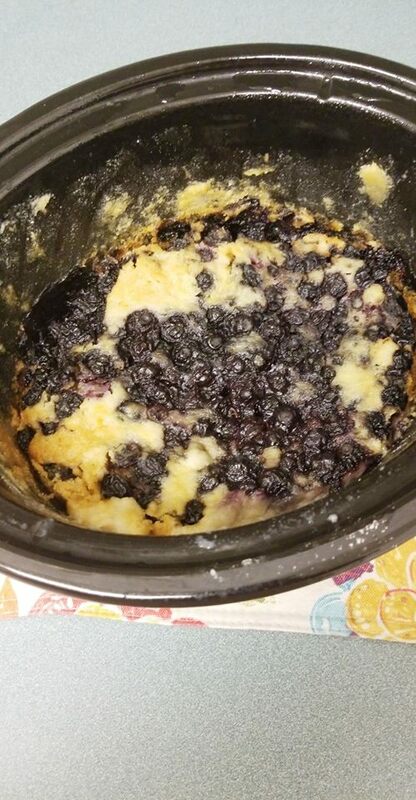 We’ve used them in smoothies, pancakes, muffins and this Crock Pot Blueberry Cobbler recipe. This recipe is super easy. I love to make it for summer parties or BBQ’s because I can turn it on a few hours before dessert time. 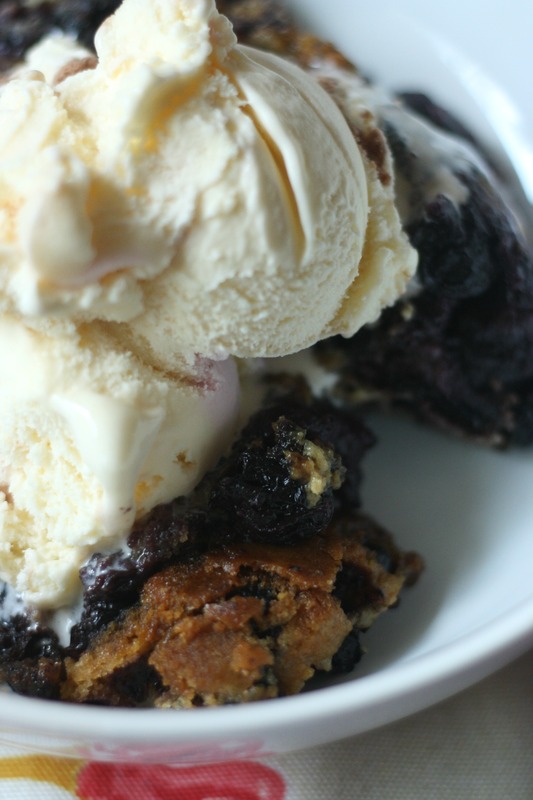 There’s something about having a warm dessert with some cold ice cream on top that really makes you feel at home, no? 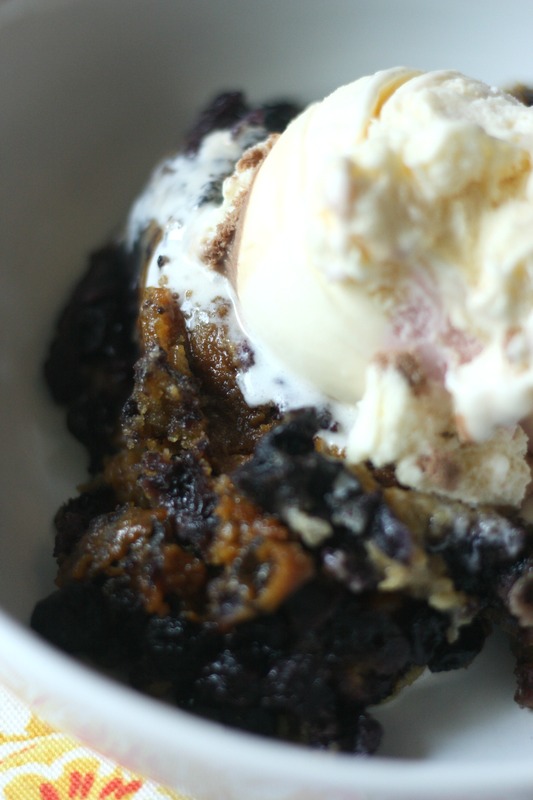 Delicious 3 ingredient Crock Pot Blueberry Cobbler made with fresh or frozen blueberries! Spray the inside of your crock pot with non-stick spray or coat with butter. Dump 4 cups of blueberries in. Add remaining 1/2 cup blueberries to the top. Cook on low 3-4 hours. Serve warm with vanilla ice cream. You can use fresh or frozen recipes to make this recipe. 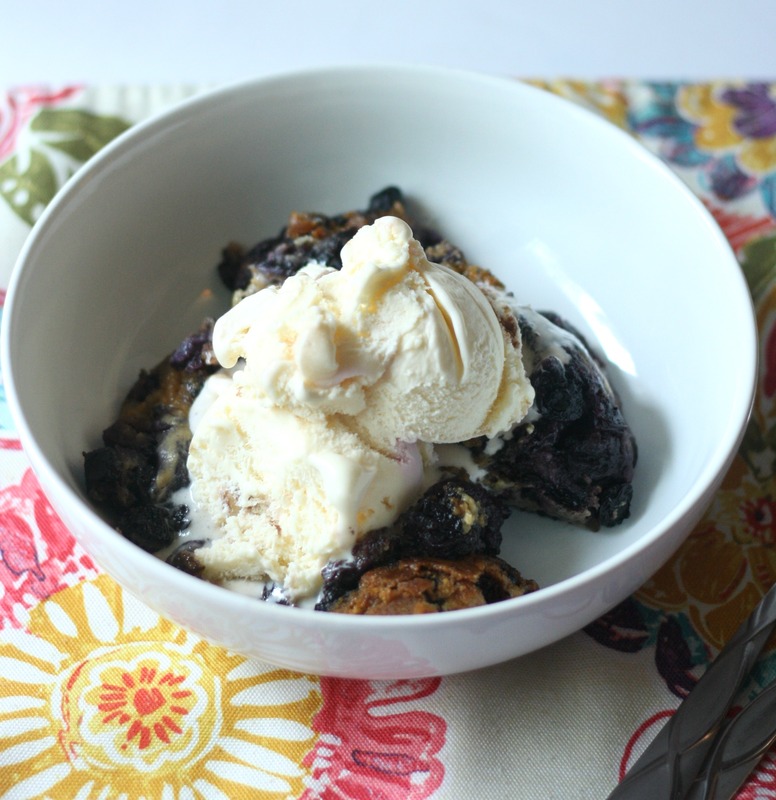 We frozen our fresh blueberries since we started to feel slightly overwhelmed with our bounty! Enjoy! I love blueberries!! I definitely have to make this! I bet my whole family would love this! This looks so good. I’d eat this for breakfast. I really love blueberry desserts! This would be very easy to throw together and let it cook. 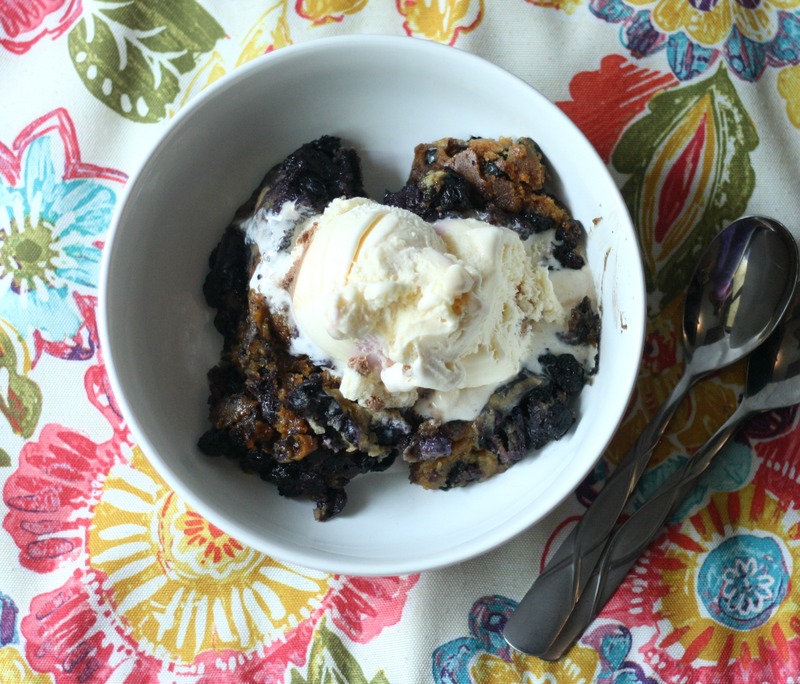 Great way to use blueberries! Thanks for sharing! I love fruit desserts and we have a lot of berries here in Vermont so I make a lot of cobblers and crumbles. Wow 6 pounds? Good job- nothing beats fresh handpicked berries! This cobbler looks amazing too. That looks absolutely delicious. I thin it would be good with blackberries too.